Mixture Useful and Effective Maxi-Pack. This mixture is specially composed to have a useful effect on your vegetable/herb garden. The louse for example will prefer the flowerplants and will not visit your vergetables/herbs as much as they normally do. 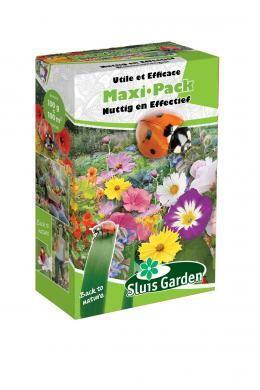 Contains: Anthemis, Borage, Chrysanthemum, Convolvulus, Coreopsis, Cosmos, Echium, Gypsophila, Lavatera, Papaver, Tropaeolum etc.